Ages and Ages’ debut LP, Alright You Restless, was an ambitious, conceptual piece of sing-along, clap-along, stomp-along pop rock that vaulted the band into elite company. That first record pontificated upon the throes of isolation as a form of revolution, elated choral melodies anchoring shimmery guitars and tight rhythmic interludes throughout. The Portland conglomerate’s second album, Divisionary, is a lot of that, too; there are plenty of goosebump-raising hooks and uplifting crescendos to write home about. Their thematic scope, however, involved the excavation of darker inspirations than they’d previously explored as a band. Forged during a flurry of personal hardships for several members of the band (as frontman Tim Perry has said, “a lot of death”), Divisionary opts not to wallow in the woe, but to present an opportunity for the conceptual collective to disburse their common isolation to working out the painful moments via some of the most hard-wire catchy pop songs put to tape in years (and years). Perry wields wonderfully colorful waves of emotion throughout each song, with church-choir vocals, a la Polyphonic Spree, buoying thoughtful musical terrain despite great tides of introspection. For Perry, these triggers are intuitive, even necessary; a lot of Divisionary—melodies, lyrics and all—were conjured while he visited a Vipassana silent meditation retreat that disallowed writing or speaking in any form for 10 days. It’s sort of no wonder, then, that the cogs of songs like opener “Light Goes Out” emerge polished and primed for mass consumption, clap-track ready with Perry bouncing the line, “All I wanna say are the only words with any meaning/and I feel that way even though there’s some who feel nothing at all.” The method—whether it was intentional or not to utilize it as a vessel for songwriting/memory through repetition—paid off. “I See More,” the album’s second tune, is driven by a tambourine-and-guitar tandem that implores attention straight away, bassist Rob Oberdorfer’s low-end guiding a peppy tune through valleys of therapeutic lyricism, secular in scope, yet still invoking a strong sense of spiritually centered reasoning. “Big Idea,” in turn, is another impossibly catchy, adventurous tune in the vein of Traveling Wilburys, a rhythm and blues riff leading Perry’s confessions that “All my ins are on the outside/and I want you all to notice because I have no will to hide.” “Over It” postulates a time wherein the storm likely passed a bit, prompting a hyperbolic lethargy, slow-lunging guitar and tom-heavy drums rising and falling like a set of heavy lungs. 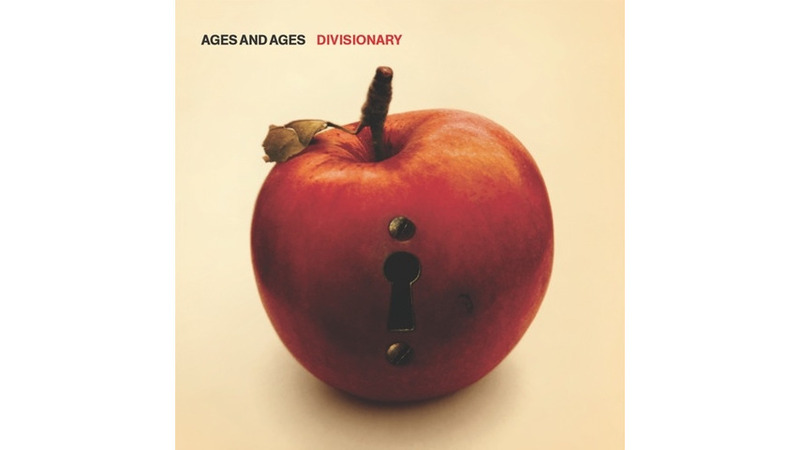 Ages and Ages have undergone lineup changes and lots of peripheral personal battles and have somehow managed to internalize and later deduce how to navigate the avenues of their own lives in triumphant—and insanely memorable—song. In the process, they’ve come out with one of this year’s best all-around albums.